The following conditions set out the Terms of Engagement upon which you retain us to act for you, together with our Letter of Engagement and Client Care and Service Information. We accept your instructions on the understanding that you have made, and will continue to make, full and frank disclosure of all facts relevant to the matter. We will only act on your clear instructions. Where instructions cannot be reasonably obtained from you, we will stop work until these are received. By instructing us, you accept liability to pay our bill that we shall render in respect of such instructions. If you instruct us on behalf of someone else, you are liable to pay our bill should we not be paid by that other person. If you are instructing us as a director or officer of a company, you are liable to pay our bill in the event of the company failing to pay. The services which we are to provide for you are outlined in our letter of engagement. We charge for our services by time expended based on an hourly rate and in accordance with the criteria set out in Chapter 9 of the Lawyers and Conveyancers (Lawyers: Conduct and Client Care) Rules 2008. If you wish to receive a copy of this, please contact us. In addition to our fee, you are responsible for payment of any additional costs we incur on your behalf. These additional costs include a fee for office services (photocopying, postage, legal forms, telecommunications, internet charges and other miscellaneous expenses not included in our fee) being 8% of the fee before GST, eSearch fees, eDealing fees. The total of our fee together with additional cost charges and GST is referred to as our bill. By instructing us to act, we shall endeavour to provide you with our reasonable estimate of costs. Our estimate will be subject to certain conditions notified to you at the time the estimate is made. If the conditions are not met, we are entitled to increase our fee and/or other charges above the estimated amount. We will advise you promptly if a change of circumstances means that our estimate will be altered. In some cases, due to the nature of the work we are required to perform, we will not be able to provide an estimate for our work in advance. Where we deposit monies into an interest bearing deposit account with the ANZ Bank, you authorise us to deduct and receive a commission equivalent to 5% of the net interest. Stop doing further legal work for you if you have an outstanding debt to us that has been subject to an interest charge under (a) above. We are unable to disburse any payment to you unless we receive cleared funds. If funds are not cleared, we shall wait until the funds are cleared, before disbursing the money. All money shall be receipted and held in trust until disbursed in accordance with your instructions. We do not accept any liability for loss arising from non-receipt of any communication, including computer email communications. If you have a preferred method of our firm communicating with you, please advise us. You agree to provide us with all information that we may reasonably require to carry out your instructions and meet our statutory obligations, and for our statistical database purposes. You are responsible for the accuracy of any information you provide to us. You authorise us to collect, disclose and use information from you and third parties so that we may comply with your instructions, meet our statutory obligations and use this information for our statistical database purposes and credit control purposes. All information you supply will be collected and stored by DG LAW LIMITED. Under the Privacy Act 1993 you have the right of access to, and correction of, your personal information held by us. The Financial Transactions Reporting Act requires us to collect from you and retain information required to verify your identity. Any failure to supply information may result in your instructions not being carried out or not being carried out in full and limit the quality of the services provided. These Terms of Engagement may be amended by us from time to time.  See our website www.dglaw.co.nz. These Terms will apply to all future legal work carried out by us for you. By instructing us to provide you with legal services, you are deemed to have accepted these Terms of Engagement. If you decide that you do not require our firm to act on your behalf, please inform us promptly in writing or email mail@dglaw.co.nz. We will provide you with a competent, timely service following your instructions, but if you have any complaint at all about our service, please raise it with the Director responsible for your matter, or, if you prefer, any other Director of the firm, within six months of the date of the work. If it cannot be resolved immediately to your satisfaction, please refer to our complaints procedure contained in the Client Care and Service Information. We will retain your file and documents in this matter for a period of ten years beyond the date of the final bill. You agree thereafter the file may be destroyed. Documents held in our deeds system will be retained indefinitely and at your direction. The firm is entitled to retain possession of your papers and documents whilst any bill remains outstanding. If we need to retrieve your file from offsite, a fee of $50.00 per file, will apply. a conflict of interest comes to our notice. We will give you reasonable notice of the termination of our instructions and we will give you reasonable assistance to find another lawyer. You will be required to pay our charges for work done and for expenses incurred, up to the date of termination. It may be necessary for us to engage, on your behalf, the service of another party to provide specialist advice or advocacy services. We will consult you as to the terms of that partys engagement, but you will be asked to enter into a fee arrangement directly with the other person or otherwise pay funds on account of that persons anticipated costs. We will strive to find the most suitable person for you, subject to any directions you may have on cost questions or otherwise. Our firm may enter into a fee sharing arrangement with the party instructed on your behalf. If during court proceedings, an order is made, requiring another party to pay your court costs, that order will not affect your liability to pay our costs and expenses in respect of this matter. If the court makes an order that you pay another partys legal costs, (eg should you lose the case), those costs are separate to and additional to those payable to us in respect of the matter. We undertake Legal Aid work. Legal aid is governed by the Legal Services Act 2011 and the associated regulations. Legal Aid is administered through the Ministry of Justice by the Legal Services Commissioner. We will submit invoices in relation to your grant of aid to the Legal Services Commissioner and provide you copies. The Legal Services Commissioner will write to you about any conditions or repayment obligations that you may have in relation to the grant of legal aid and your rights as an applicant or recipient of legal aid. You should be aware at this time that legal aid is not always free. You should read these letters carefully and keep them for later reference. You must let the Legal Services Commissioner know if there is any change in you and your partners contact details, employment status, family circumstances or financial details. If you wish us to carry out the work and you are unsuccessful with your Legal Aid application, or it is withdrawn, we will charge you at our normal rates. Where appropriate, you have been advised or will be advised as to the various methods of alternative dispute resolution insofar as they apply to your circumstances. binding on you and your executors, administrators and successors. You may not assign or transfer any rights or obligations under these terms of any other agreement that we have with you.